I just loaded it onto both my MacBook machines here in the house and so far things are running pretty good. I also made sure to update the Virtual Hardware to take advantage of all the tings the new Vmware Fusion has to offer. Along with the features there is a re-tooled UI that is more like the Workstation left column view that I personally like. Have fun playing with the new version if you are able to grab it today especially on your new Retina Mac….which I don’t personally have though. So go get your copy of VMware Fusion 5 upgraded so you can take advantage of that shiny new Retina Display with your VMware FUsion Virtual Machines! 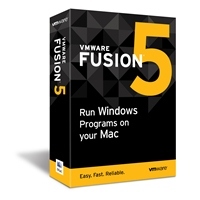 VMWare let down early Macbook Pro Retina adopters who bought Fusion 4. Fusion 4 was buggy on the retina display, and VMWare chose an arbitrary date (July 25) as cutoff for free upgrades. Apple upgraded all purchasers for free to new OS, even MSFT treats folks better. VMWare had buggy product out and wants more $$… poor! As of Aug 28 – many reports of problems with Lion 10.7.4 – so I will wait a month to upgrade. Given how essential Fusion is to my productivity, and how buggy the new releases have been, I can’t ever afford to take the “free upgrade now!” it’s like becoming a beta tester.